Crickets Dance Camp 6/16-17 Father’s Day Special! It was fun to see everyone today. Had a lot of fun! Tomorrow is hip hop – yea!!! Thanks to Malina (Grand County High School Devilette) for helping out! It is fun to get together on the off season and work together. Learning the dance to Bombay was a good experience. I was proud to see everyone remembered most of the dance at the review at the end. You guys looked awesome. Can’t wait to see what you do with the Hip Hop tomorrow. I look forward to working with may of you this next year with your individual solo’s , team and ballet classes. 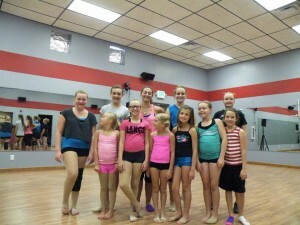 Posted in News | Comments Off on Crickets Dance Camp 6/16-17 Father’s Day Special!